Travel deep into the center of your brain, and you’ll find a pinecone-shaped gland. The size of only a grain of rice, this tiny gland plays an essential role in how we sleep, perform, make decisions, and perceive reality. A healthy-functioning pineal is essential for psychological development, peak performance, and spiritual awakening. In this guide—part one of an epic 4-part series—we’ll explore what this gland does, why it generally doesn’t work properly, and how to restore it. Is Fluoride Really A Bad Thing? The pineal gland acts as the body’s light meter. It receives light information from the eyes and then sends out hormonal messages to the body. This tiny gland transmits information to the body about the length of daylight, commonly called circadian rhythm. The pineal gland tells every other part of your body whether it’s light or dark out, what season you’re in, and whether days are getting longer or shorter. Momentarily remove yourself from our modern environment with clocks and calendars, and you’ll immediately appreciate the vital role this gland plays in maintaining our connection with nature. In Light: Medicine of the Future, Jacob Liberman explains that the size of the pineal gland in animals varies depending on the animal’s location. An animal living closer to the equator will have a smaller pineal gland than an animal living further North or South. The more the animal needs to adapt to a changing environment, the larger the pineal gland will be. According to a paper in the Journal of Pineal Research, the pineal gland also plays a major role in regulating bodily temperature. How does the pineal transmit information to the rest of the body about the time of day and season? As part of the endocrine system, the pineal synthesizes and secretes a hormone called melatonin directly into the bloodstream. Melatonin is a serotonin-derived hormone that modulates sleep patterns. By inhibiting the release of certain reproductive hormones from the pituitary gland, melatonin affects our reproductive organs in both males and females. The pineal also secretes more melatonin in children than adults, which is believed to inhibit premature sexual development. After puberty, the pineal shrinks and releases less melatonin. Light exposure to our eyes mainly determines how much melatonin the pineal synthesizes and secretes. We produce less melatonin in daylight hours and increase secretion during the night. Unlike most of our brain, the blood-brain barrier doesn’t isolate the pineal from the rest of our body. Instead, the pineal gets a tremendous amount of blood flow, second only to the kidneys. Surrounded by and immersed in cerebrospinal fluid, this gland camps out in a tiny cave-like area behind and above the pituitary gland. 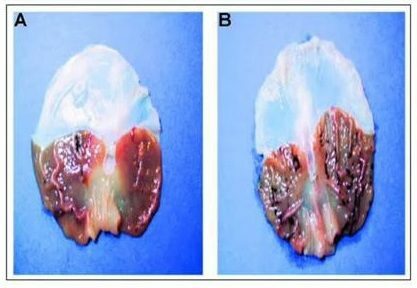 In the 1990s, British scientist Jennifer Luke discovered high concentrations of fluoride in the pineal gland of her subjects. Fluoride, commonly found in most municipal water as well as pesticides, accumulates in the pineal more than any other part of the body. This accumulation of fluoride forms phosphate crystals, creating a hard shell around the pineal called calcification. Fluoridated water is believed to be one of the chief causes of calcification in the pineal gland. Evidence suggests that children reach puberty earlier now as a consequence of fluoridated water. Fluoride exposure in animal studies has found to decrease melatonin and lead to accelerated sexual development in females. Simply put, when our pineal gland is calcified, we’re out of balance with nature, impeding proper biological functioning. Mess with our reproductive function. And these are only some of the consequences of a calcified pineal gland. Sleep is a vital biological function designed to restore us each night. When the pineal gland is calcified, it is believed to affect the quality of our sleep. Poor sleep, a topic we’ll cover in Part 3, reduces our mental performance and cognitive functioning while making us prone to disease. In many ways, the pineal is our body’s connection with the natural world. Severe that connection (via calcification) and what happens? You have a race of beings mostly disconnected from their instincts, from their planet, and from each other. Without a fully functioning pineal gland, media messages more easily program us, false belief systems shape us, and poor decisions plague us. Simply put, a calcified pineal gland limits our marvelous potential. I’ve yet to meet a high-achiever who doesn’t want to be more awake. Decalcifying the pineal gland is an important part of our awakening, as doing so heightens our perception of reality. Step 1: Eliminate certain foods and environmental factors that are causing additional calcification. Step 2: Remove existing calcification. Step 3: Create an external environment that supports healthy pineal gland functioning. We’ll focus on step 1 in the remainder of this guide and address step 2 in Part 2 and step 3 in Part 3/Part 4 of this pineal gland series. Numerous substances cause calcification in the body, but the two primary causes of calcification appear to be fluoride and synthetic calcium. Eliminating your consumption and exposure to fluoride and synthetic calcium will help stop further calcification in your body and brain. Note: I’m aware that the topic of fluoride, especially its use in the public water supply, is a controversial issue for some. I don’t claim to be an expert. However, I have invested countless hours reading available literature and studies coming from both sides of the debate. Given the evidence I’ve seen (much of which I’m presenting in this series), I’ve reached my conclusion. You, of course, will reach your own. Fifty percent of the world’s municipal drinking water is fluoridated. Most developed nations, however, do not fluoridate their water. In western Europe, only 3% of the population consume fluoridated water. If you live in the United States and your source of water comes from a public water supply (as opposed to a private well), there’s a 74% chance your water has fluoride. More people drink and shower in fluoridated water in the United States than the rest of the world combined. There’s much more research available, but you get the idea. The fluoride debate is misleading because many people fail to differentiate between natural fluoride and synthetic fluoride. Natural fluorite is a trace mineral. It’s an aqua-colored stone, found in the earth like any other mineral. Flourite is the mineral form of calcium fluoride. But calcium fluoride isn’t what’s put in our water supply, pesticides, or herbicides. The fluoride used in public water is a non-pharmaceutical grade synthetic materials like hydrofluoric acid or sodium fluoride. These are toxic chemical byproducts of aluminum, steel, cement, and other manufacturing. Synthetic fluorides are also hazardous waste products of the phosphate fertilizer industry. Hydrofluoric acid is used to refine gasoline, and to make many products including air conditioners, freezers, computer screens, fluorescent light bulbs, plastics, and pesticides. And these fluoride chemicals are added in small doses to the majority of our water supply. In The Case Against Fluoride, Paul Connett and two other scientists, explain how fluoride harms our brains, bones, and kidneys. There are, for example, over 50 studies showing that fluoride reduces human intelligence. For another well-researched book on the topic, see Christopher Bryson’s The Fluoride Deception. And see this article on Dr. Mercola’s website for more information and an interesting interview with Connett. If you live in the United States and you have public water, there’s a better than average chance you have both fluoride and chlorine in your water supply. Chlorine is in the same class of chemicals (called halides) as fluoride. Chlorine also has calcifying effects on the pineal gland. And it too is unfortunately in virtually all of our public water supply. To find out for certain, you can contact your local municipality and request a water report. If you aren’t on public water, scroll down past this section (to toothpaste). Assuming your water is fluoridated and chlorinated, the best solution is to filter your water. There are two main types of filters: reverse osmosis and carbon blocks. Generally speaking, reverse osmosis filters are better at removing fluoride, but you also remove many beneficial minerals and waste a lot of water. Quality carbon mesh filters are effective at filtering almost everything except fluoride (however, there are a few exceptions listed below). When selecting a water filter, make sure NSF certifies it. NSF is a third-party, not-for-profit testing agency that rates water filters. Be sure that it’s “NSF-certified,” not “NSF-tested” (I know, tricky). Depending on what level you want to tackle this issue, there are different filters on the market to consider. Below are the ones I’ve researched and vetted for this guide. The filters (called media) for each of these water filters are NSF-certified. 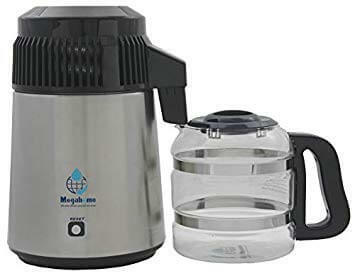 A standard BPA-free plastic water pitcher certified to filter out fluoride, lead, mercury, and chlorine. Filters 90.06% fluoride and 99.9% chlorine. 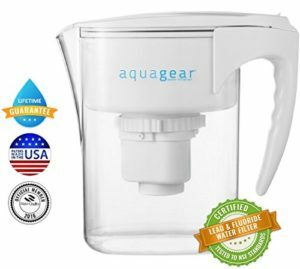 If you use something like Brita, switch to Aquagear; it filters over 1000% more contaminants. This stainless steel filtering system filters out most chemicals including chlorine, but they also offer special filters you can add to the system that filters out fluoride and arsenic (another common toxin found in drinking water). Their website says their fluoride filters remove over 95% of fluoride. 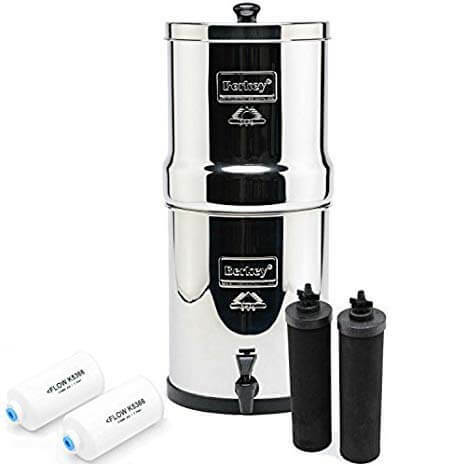 Even though we have a private well at our home, I still use a Big Berkey to filter our drinking water because it filters out excessive heavy metals and somehow softens the water. I’ve been told by several individuals that after drinking distilled water and cooking with it (in an effort to decalcify their pineal gland), they now become sick when they drink regular public water—a testament to the effectiveness of distillation. This below-sink reverse osmosis filtering system is certified to remove 95% of fluoride and 97% of chlorine. 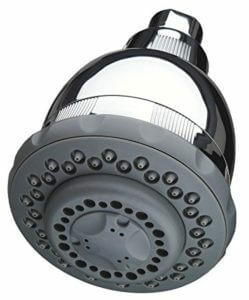 Fluoride and chlorine are absorbed by the skin when you shower or bath. Although you can find plenty of shower filters that remove chlorine, I’m not aware of any shower filters that filter fluoride. Removes up to 99% of chlorine. NSF certified. Removes over 90% of chlorine. If you want to filter fluoride throughout your home, the only option is to install a reverse osmosis whole-house filtering system. The downside to these systems is that they waste a lot of water and some say they damage your water pipes over time. There are none I can recommend at this time. Doesn’t fluoride prevent tooth decay? Isn’t that why cities put fluoride in our water supply in the first place? That’s what I thought too. However, the evidence doesn’t support this claim. The data here shows there’s no difference in tooth decay between nations that fluoridate their water and those that don’t. Even though 97% of Europe bans fluoride, tooth decay has decreased considerably. For a complete presentation on this topic with a bulwark of research, see this article. Ninety-five percent of commercial toothpaste brands have fluoride. I recommend you avoid using commercial brands of toothpaste. Not only do they include fluoride, but they also contain many other toxic chemicals including sodium lauryl sulfate (SLS). SLS is a cheap thickening agent found in most soaps including your laundry detergent. You can find many alternative toothpaste makers on the market like OraWellness and Tooth Soap. I use Tooth Soap. It’s made with olive oil, coconut oil, distilled water, and essential oils. You just need a few drops of the liquid. One bottle lasts months. It’s definitely a different experience, but I didn’t find it difficult to adjust to it. Or you can make your own with a mixture of coconut oil and baking soda. Calcium is essential for strong bones, right? Yes, but when that calcium is in a synthetic form, it too has a calcifying effect on the pineal gland and other places in the body. Did someone tell you it’s important to take calcium supplements? This Harvard study links calcium supplements with dementia. Calcium supplements are also linked to a higher rate of heart attack in older women. Most calcium supplements contain calcium carbonate, a known calcifying agent. If you need additional calcium in your diet, consume more organic whole foods like spinach, kale, broccoli, sesame seeds, chia seeds, and quinoa. If you feel you must take a calcium supplement, consider a product like Megafood Calcium, Magnesium, and Potassium. Megafood uses food-derived supplementation instead of synthetics. Pairing magnesium with calcium helps direct the calcium into the bones instead of the brain. I used to drink a fair amount of hot tea, mainly organic green tea. So when I began seeing articles linking tea consumption and fluoride levels, I was concerned. Green and black tea are loaded with antioxidants. So how do you get the benefits and enjoyment from tea without the fluoride? Research shows that young tea leaves have far more antioxidants than older leaves. With fluoride, thankfully, it’s the reverse: the older the leaves, the higher the fluoride levels. “White teas” have the least fluoride and most antioxidants. For example, try Uncle Les’s Tea- Organic White Tea or Prince of Peace Organic White Tea. Commercial brands like Lipton, Nestea, and AriZona, have twice as much fluoride as public water. Obviously, these brands use older, lower quality sources of tea. It’s best to avoid bottled tea, instant teas, and any low-priced commercial brands of tea if you’re interested in decalcifying your pineal gland. But white tea is low in caffeine. So if you’re drinking tea for an energy boost, white tea may not cut it. Another viable option if you’re tea drinker is Yerba Mate. This popular South American tea contains five times more antioxidants than green tea as well as a clean source of caffeine. Yerba Mate also has a fifth of the amount of fluoride found in green tea. My tea of choice over the last few years, Yerba Mate provides several hours of enhanced mental clarity and increased energy without a sharp drop off afterward. This high-energy tea comes in a smoked and unsmoked version. If you’re going to drink it, I recommend getting the unsmoked variety as anything smoked is more carcinogenic. Here’s the one I drink: ECOTEAS Organic Yerba Mate Loose Tea. It’s organic, fair trade, and unsmoked. Most non-stick coatings contain PFOA (perfluorooctanoic acid) and perfluorinated compounds (PFCs). As you can see in these names, they are fluoride-based substances that are both toxic and calcifying. So swap your nonstick cookware with stainless steel, ceramic, glass, or cast iron cookware. Other products that contain PFCs include stain-proof clothing, flame-retardant products, stain-resistant carpeting, and packaging for greasy foods. Conventionally-grown produce sprayed with pesticides and processed foods are a double-whammy for the pineal gland. Fluoride’s high toxicity makes it an effective ingredient in commercial pesticides. Two types of pesticides sprayed on foods use fluoride: cryolite and sulfuryl fluoride. Cryolite is used heavily on grape products. According to a 2005 USDA study, the average fluoride level in white grapes juice, white wine, and raisins is over 2 ppm (that’s twice as much as fluoride in public water). Many farmers also spray cryolite on produce including broccoli, kale, and cabbage. Virtually all processed foods have some form of synthetic calcium: calcium phosphate, calcium carbonate or dicalcium phosphate. All of these forms of calcium lead to calcification. Additionally, food-processing facilities use sulfuryl fluoride to fumigate their facilities as well as the food, both of which contaminate food with fluoride. So if you’re interested in decalcifying your pineal gland, you now have one more reason to eat organic, whole (unprocessed) foods. Bottom line: do your best to avoid processed foods and “conventionally grown produce” (produce grown with pesticides). Consume as much organic, non-genetically modified (non-GMO) produce and foods as you can. If you eat animal products, ensure they are organic, free-range, and hormone free. 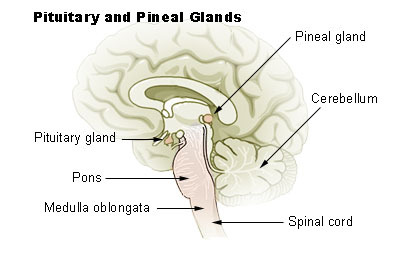 The pineal is a tiny gland at the center of our brain. It’s responsible for managing our biological clock, our sleep-wake cycle, reproductive system, and much more. This gland tends to get calcified because of a host of environmental factors that affect modern humans. Synthetic fluoride, chlorine, and calcium are chief causes of calcification. Decalcifying the pineal gland is imperative for all high-achievers interested in accessing a state of mastery and those seeking to become more evolved humans. Use fluoride filters to minimize fluoride intake from public water. Stop taking calcium supplements with synthetic calcium. Avoid using nonstick cookware with PFOA and PFC. Avoid processed foods and foods sprayed with pesticides. So that summarizes step 1: to decalcify your pineal gland, start by eliminating or substantially reducing the conditions causing calcification. Part 2 highlight how to do a pineal gland detox with specific foods and supplements designed to remove calcification and promote pineal gland health. Part 3 explores the role light plays on the pineal gland and the importance of using anti-blue light glasses to reduce the effects artificial blue light has on the pineal and our quality of sleep. Part 4 examines five powerful methods for activating your pineal gland and awakening your third eye.